Colors tv channel is continuously launching new tv serials in 2017. Recently we have published an article about serial 'Dil Se..... Dil Tak'. 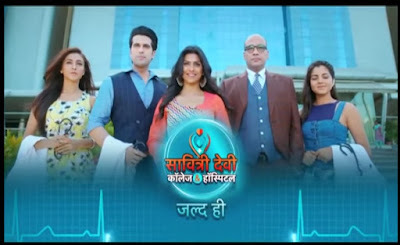 Now Colors tv is ready to launch his medical-drama and callous doctors based tv show which is tentatively titled as 'Savitri Devi College And Hospital'. It traces the journey of a young intern on her way to fulfilling her mother’s dream. The promo of the show was recently launched by Colors tv. ‘Savitri Devi College Aur Hospital’ is said to focus on medical issues and malpractices that take place in hospitals and affect people’s lives. The show is produced by Rashmi Sharma. Mohan plays Dr Malhotra, who owns this Delhi-based multi-specialty hospital. The veteran actor insists that unlike other shows in the genre which ended up as love stories, this one intends to bring to the fore medical issues, malpractices and how they affect people’s lives. Promo of the serial 'Savitri Devi College And Hospital' are released by Colors tv .You can watch the promo of the show on Television and also on official YouTube channel of Colors tv. We are sharing the promo of the show here with our readers. The launch date and timings of the show is not yet finalized by colors tv. We will inform our readers as soon as we get any information about show timing.